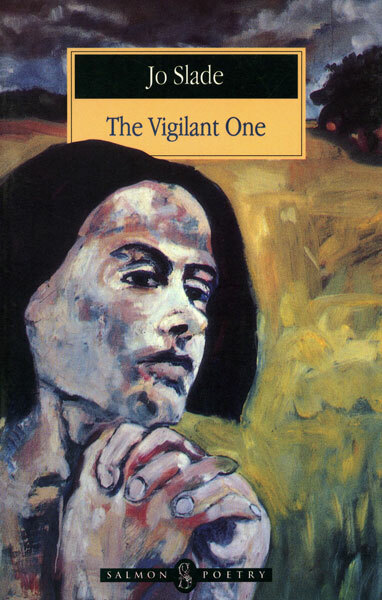 "Jo Slade's second collection, The Vigilant One, has the same sure magic as its predecessor, In Fields I Hear Them Sing (Salmon, 1989). The images strike deep, like deft brush strokes, as poet/painter Jo Slade takes us through light and shade, nuance, subtlety of tone, passion of colour. As Tom Halpin wrote of her first collection, "...A strikingly large proportion of her poems possess the eerie, dramatic qualities of fable and allegory, blending an, at times, other worldly remoteness with a palpable hypnotic change. They read ... as deeply imagined enactments of the ineluctable life and persistence of the spirit; celebrations in fact, of the life of the imagination itself, of its sometimes exhilarating, sometimes disconcerting, transforming power upon the Self." Jo Slade lives and works in Limerick. She is the author of three previous books of poetry: In Fields I Hear Them Sing (Salmon, 1989); The Vigilant One (Salmon, 1994) which was nominated for The Irish Times / Aer Lingus Literature Prize; and Certain Octobers (Editions Eireanna, Quimpeir France, 1997) which recieved a publication bursary from the Centre du Livre, Paris. She was Poet-in-Residence for Limerick County Council in 2002/2003. She was nominated in 2003 for the "Prix Evelyn Encelot" Ecriture Prize, Maison des Ecrivains, Paris. Her poems have been published in many journals and anthologies, in Ireland and abroad.